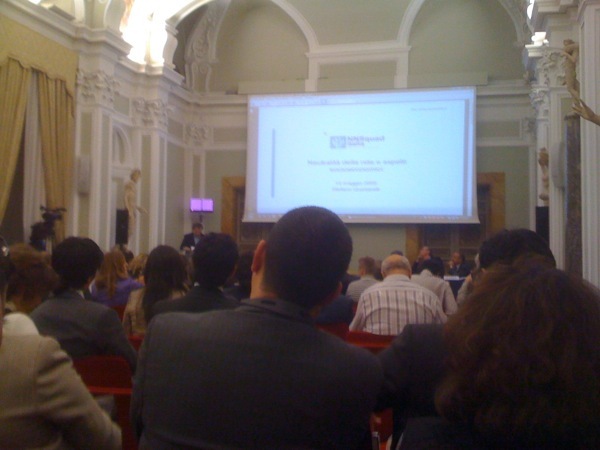 This is the second part of my recap of the nnsquad.it convention held in Rome on May 14, 2009, and hosted by the ICT consultants foundation Fondazione Ugo Bordoni. In the first part I described the morning session, dedicated to the definition of Network neutrality, and how global economics can cope with it. The afternoon was dedicated to more technical talks, and I had the occasion to hear telcos spokesmen remarks over the current situation and possible future developments. 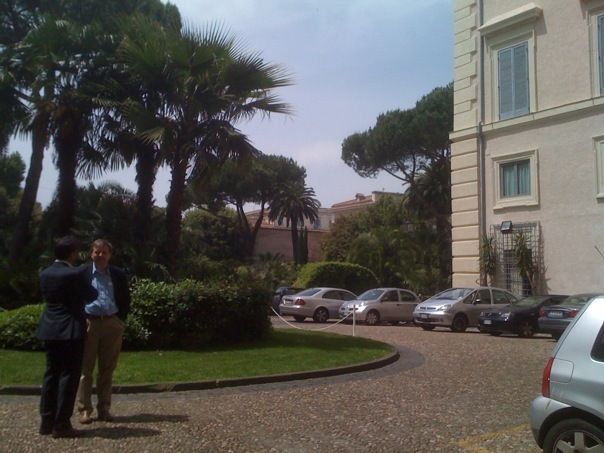 Solicited by a Facebook message sent to all the members of the nnsquad.it – for a neutral Internet members on 6 May 2009, I stumbled upon this interesting event I had the occasion to participate, held in the 17th century Rospigliosi palace in the heart of Rome. A really really really NERD novel by Cory Doctorow that tells about a bunch of sysadmins that strive to keep the good ol’ Net online, after a catastrophic event that brought the entire world to its knees. They fight with scarce power and food supplies, and communicate over the Usenet… using the “good old alt. hierarchy”. Vote: 10+ for the geekiest thing I’ve ever read, it’s really worth the hour needed to read it completely. Enjoy it.